If you are looking forward to teaching baseball for your little ones, you need to be careful to invest your money in an appropriate baseball bat as well. When you don’t purchase the right bat, your little one will get frustrated with the game. As a result, it will not be possible for you to teach the most efficient baseball lessons for the little one. As the first thing, you must take a look at the material that has been used for the construction of the baseball bat. The baseball bats that you can find in the market are made out of two main materials. They include metal and wood. Both these materials are associated with their own pros and cons. For example, your child will find it as a difficult task to figure out the perfect technique with a metal baseball bat. Wooden bats are more balanced and the child can easily figure out the correct technique. 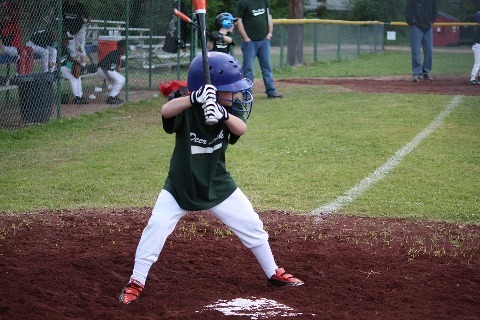 However, wooden bats are capable of leading the child to a lot of issues when swinging. Metal is the perfect material available for the kids to go for a better swing. Hence, you need to take a look at the preferences of your little one and purchase the best baseball bat out of available options. Secondly, you need to take a look at the length and weight of the baseball bat. When you do a search in the market, you will be able to discover baseball bats that are made out of different dimensions. You need to take a look at the age of your child and go for the perfect length and weight. If you give a bat that is too heavy for the little one, it could let the players drop the shoulders. You don’t want that to happen. If you are planning to buy a baseball bat for a child who is aged in between 6 years and 13 years, a wooden bat would be the perfect option available in the market to consider. These bats are in a position to deliver a slower transition, which can deliver an enhanced experience for the kids who belong to the above-mentioned age group. The transition bats have specifically been designed for the use of kids who are aged in between 12 to 14 years. These bats have the ability to fill in the physical maturation and growth gap that exists in between the kids who belong to this age category. It can provide the kids with the ability to achieve a perfect swing technique as well. As a parent, it is important for you to keep in mind that the specific baseball bat you purchase for the little one is in a position to create a tremendous impact on the overall swing velocity. In addition, it can determine where the ball will go and how the ball will come into contact with the bat. Therefore, you need to pay special attention towards the above-mentioned facts and go for the best baseball bat available in the market for your little one to purchase.